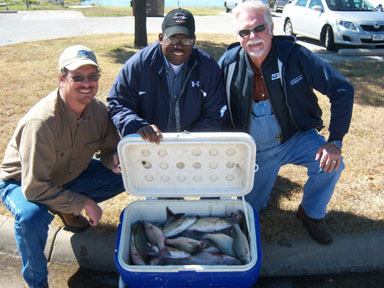 White bass, more commonly known in North Texas as Sand bass are plentiful in Lake Ray Roberts. I have been fishing for sand bass since Lake Ray Roberts opened for motor boats in 1990. I can find these fish feeding on main lake structure from October through June, and we will catch them on Cotton Cordell CC Spoons with an Ole Ugly Fly tied 14 inches above the spoon. I have spent countless hours learning the main lake structure on Lake Ray Roberts. Roads, points, humps, and ridges is where we will catch them and if you desire I will show you all I know about catching Lake Ray Roberts White bass. During the summer months Sand bass will school on the surface and can be caught in a variety of ways. 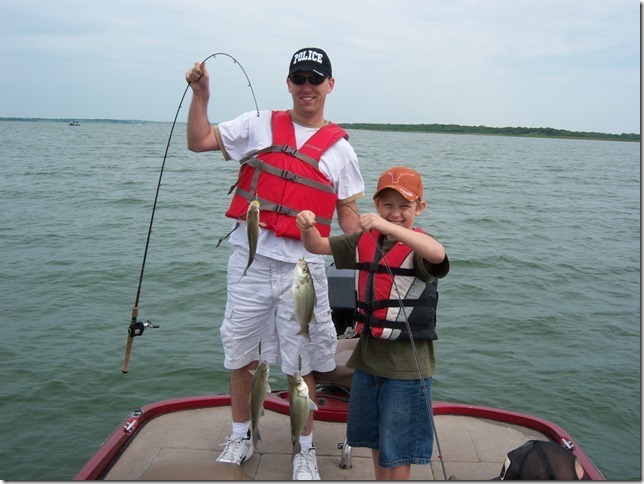 Lake Ray Roberts Sand bass fishing is great for young people and novice anglers. I do not charge for children 16 and under. I can handle a up to 6 people on a sand bass trip. On all Sand bass trips I will guarantee to send you home with a fish fry that I have filleted , bagged and iced down for you or you will get another trip free. 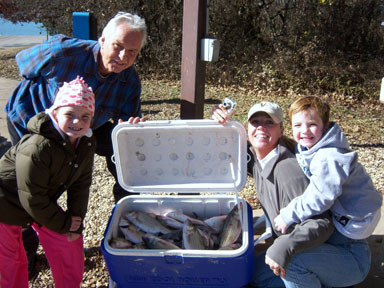 If you are looking for a fun day of fishing with family or friends give me a call. None of my customers even touch a fish unless they really want to. I do all the work Go to my fishing report page to get an update of recent Sand bass fishing.